It's difficult to tell the difference between the new NX1000 and its big brother, the NX210, which costs an extra £150 / $200. In terms of image quality, performance and features it's virtually the same, with only slightly lesser build quality, a different kit lens and a few interface changes accounting for the price gap. There are a few interface sacrifices, in particular the lack of ISO and AEL buttons, a second control dial, an integral flash or viewfinder and the continued slow processing times when shooting in RAW mode, which all detract from the camera's overall usability. The jury's still out on the i-Function button, too, with opinions divided about whether it's a genuinely useful innovation or just another way to differentiate the NX system from its competitors. We didn't really notice the difference between the NX1000's supposedly poorer quality LCD screen, though, with the same going for the plastic build quality which is actually very solid and reassuring. Perhaps the biggest reason to consider the NX210 over the NX1000 is the latter's kit lens, which lacks built-in image stabilisation, only has a plastic mount and is slower to focus thand the former's 18-55mm optic. The same 20 megapixel sensor from the NX210 and range-topping NX20 delivers excellent still image quality, with a very usable ISO range of 100-3200 and 1080p HD video complete with auto-focusing, full control over the exposure settings, stereo sound and a wealth of other options. The NX1000 offers all the advantages that a camera with a large APS-C DSLR sensor offers, namely better performance at higher ISOs and greater depth-of-field effects than the smaller Micro Four Thirds format. We'd be happy to regularly shoot with any setting from 100-1600, and even 3200 is handy at a push. The fastest settings of 6400 and 12800 are less useful, although considering the amount of megapixels that have been squeezed onto the sensor, we're still very impressed with the NX1000's overall performance. 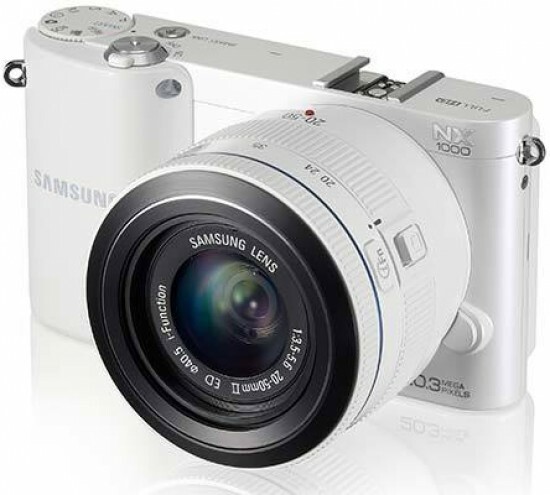 In summary the Samsung NX1000 isn't the cheapest entry-level compact system camera on the market, but it is a very capable one, sharing the same core DNA as the other new NX models. It's so similar to the NX210 that we'd recommend saving £150 / $200 and opting for the NX1000 instead, or stepping up to the more DSLR-like NX20 - not a bad recommendation for a supposedly lesser camera!